The United States will invest more than $600 million in Nigeria this year, Secretary of State John Kerry said yesterday in Washington. He spoke during the opening session of the U.S.- Nigeria Bi-National Commission meeting. The Nigerian delegation was led by Foreign Affairs Minister Geoffrey Onyema, supported by other officials including Nigerian Charge d’Affaires Hakeem Balogun. Those with Kerry include leaders from the State Department, USAID, the Defence Department, Commerce Department, and other key agencies. The U.S. Ambassador James Entwistle also attended. Kerry, who hailed President Muhammadu Buhari’s actions in office in the area of security and the attaempt to diversify the economy, said:”Our development assistance this year will top $600 million, and we are working closely with your leaders – the leaders of your health ministry – to halt the misery that is spread by HIV/AIDS, by malaria, and by TB. Kerry condemned the Bokoharam activities, promising U.S. support to finish off the sect and end its terrorist activities. 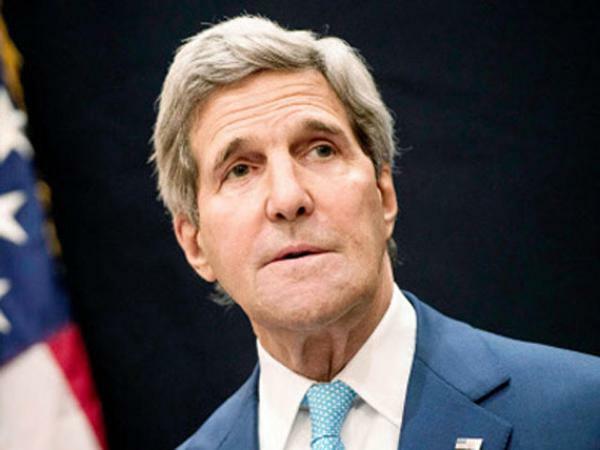 On Boko Haram, Kerry said: “Under President Buhari, Nigeria has been taking the fight to Boko Haram and it has reduced Boko Haram’s capacity to launch full-scale attacks. “Now, I want to be clear, this aid is predicated on the understanding that, even when countering a group as ruthless as Boko Haram, security forces have a duty to set the standard with respect to human rights. One abuse does not excuse another. Onyema expressed optimism on a successful outcome as the meeting went into a closed session.